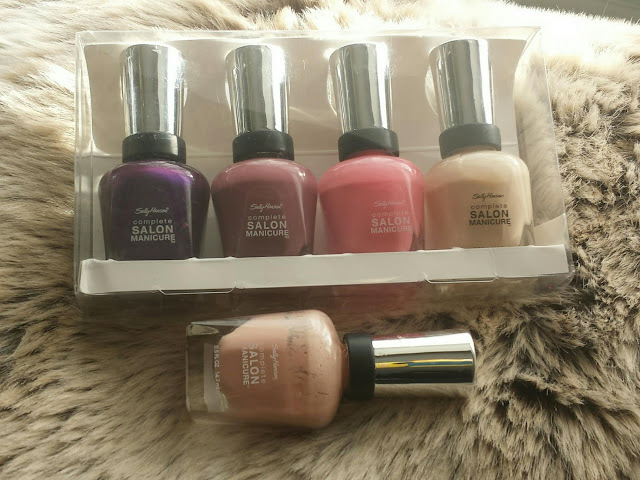 Yet another nail polish review, this time it is the Sally Hansen collection. They can be found in both Boots and Superdrug, as well as in unlikely places such as TK Max, from a price of £6.99 or a pack of 4 from TK Max at £7.99. 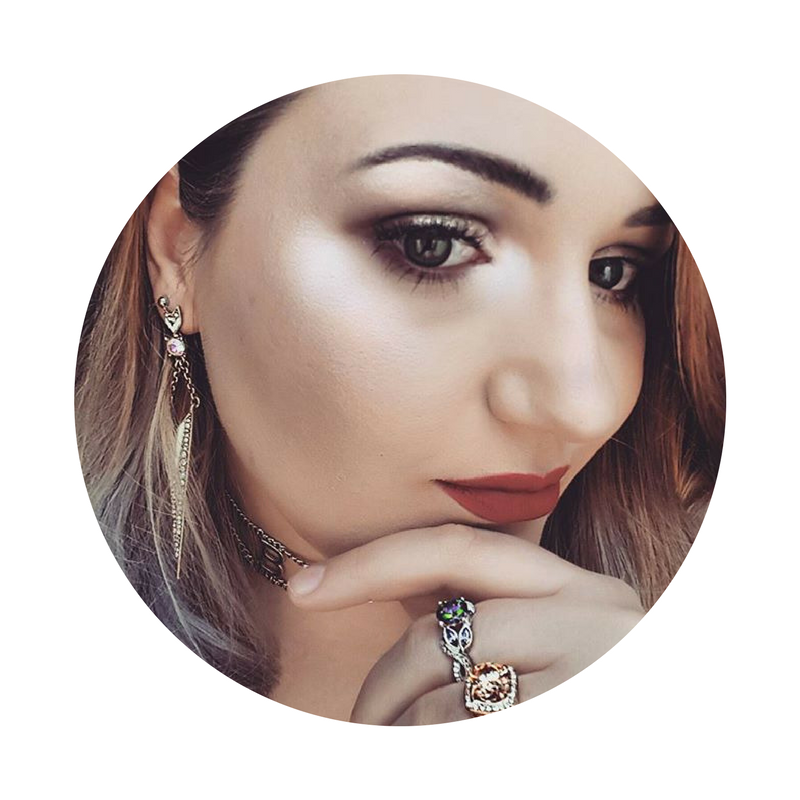 There are so many shades that are part of the staple range, though there are different shades available at different times of the year. Currently they have a range of gel polishes out, which I am yet to try, but out of all the polishes I own this range is by far my favorites. The fact that there are so many shades to choose from makes it perfect to find the shade you want. I also find the wands so easy to use, they have a large short brush which is rounded at the end, great to cover the whole nail in one stroke (Though my thumbs need to swipes). 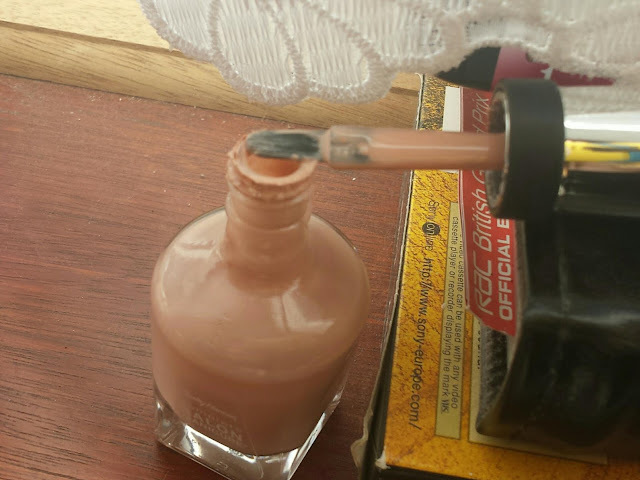 The fact that it is so easy to apply appeals to me I don't like spending ages painting my nails, I like to be on the go all the time. The color pay off for these polishes is amazing, very opaque and shiny, so you only need one or two coats then your done, for me it's usually one. The opaque color means I am done in a flash, to go with this it even drys really fast, within about 15 minutes. So, if you need to pain your nails on the go it is perfect. As for how long it lasts, it is a very long lasting polish. I have been able to keep my polish in tacked for about 2 weeks (at a push), but at least a week and a half without it chipping. Great as I hate painting my nails all the time, it's a little time consuming and my busy lifestyle means I don't have time to change polish. These polishes hold a lot of liquid and last such a long time, I would recommend these polishes to everyone, pick up yours today.